Is Prescription Opioid Abuse A Crime Problem Or A Health Problem? : Shots - Health News People still think that abuse of opioid painkillers is something that criminals do, a study of news media coverage finds. Options like expanded access to treatment are rarely mentioned. 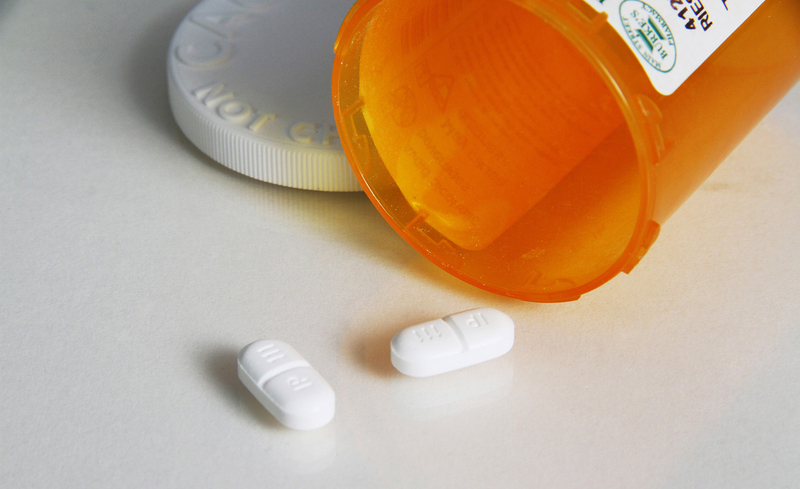 Overdoses of hydrocodone and other opioid painkillers caused more than 16,000 deaths in 2013, according to the CDC. When it came to possible solutions, more than half the news stories, 64 percent, mentioned law enforcement, either arresting people who illegally buy and sell opioid painkillers or arresting doctors who illegally provide them. Forty-one percent mentioned prevention, and just 3 percent mentioned expanding treatment. "That surprised me, frankly," says Emma McGinty, an assistant professor at Johns Hopkins and lead author on the study. "I really expected to see more of a shift to a public health and behavioral health approach to the issue." More than 2 million people in the U.S. either abused or were dependent on prescription opioid painkillers in 2013, according to the Centers for Disease Control and Prevention, and more than 16,000 people died of overdoses. "We as Americans are really prone to think of drug abuse of any kind as a moral failing," says McGinty. She was surprised to see that that attitude still applied to prescription painkillers. "That is pretty persistent and hard to overcome." Analyzing mainstream news coverage is an established method for gauging public discussion around health and social issues, and and news media coverage also influences that discussion. The researchers looked at 673 stories in major-market television and print outlets from 1998 to 2012. Less than half of the stories, 44 percent, mentioned that opioids are effective for treating pain. And less than 1 percent covered harm reduction efforts like reducing protecting people from criminal charges if they seek medical help for someone overdosing. Toward the end of the study period, news coverage did start to mention prevention and treatment more frequently, McGinty says. "This was the one glimmer of light from a public health perspective." The study was published online Tuesday in the journal Psychiatric Services.